WEST INDIES CRICKET PAGE ! 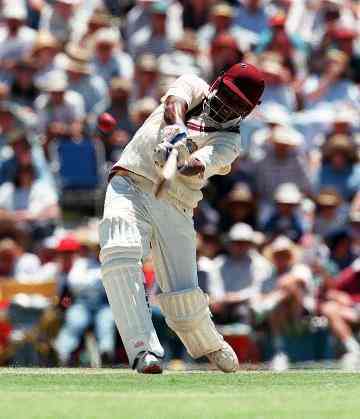 What is it about West Indies Cricket? Many people are often confused when cricket fans wake up at ungodly hours in the morning and night to view West Indies matches broadcast from Australia, South Africa, India and Pakistan. These fans will stay up all night if necessary to urge on their team, and stumble to their workplace or school the following day, dazed and bleary-eyed. "It's an unhealthy obsession", are the comments that are often heard. 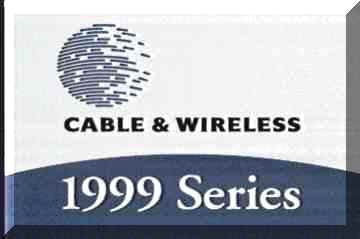 Some employers become annoyed when staff members venture to work with portable radios and televisions, complete with headphones so that they may follow those matches that are played in Europe and the Americas. What is it about this sport that results in friendships being torn apart, rallying songs being composed, and nations enduring diplomatic rifts? What is it indeed? Analysts and social theorists have pondered this in several writings both in the Caribbean and abroad, and they all seem to agree on one observation - West Indies Cricket is the single success story that showcases West Indian Unity among its peoples. Indeed, no other sport or event in recent memory has managed to capture the imagination of the West Indian people - of all ethnicities, colours, religions, classes, age groups and sexes - than a West Indies cricket match. Interestingly, the fact that we are all separate countries tend to be forgotten temporarily when we are watching, listening to and discussing cricket, and the unity of the West Indies people takes precedence at these times. 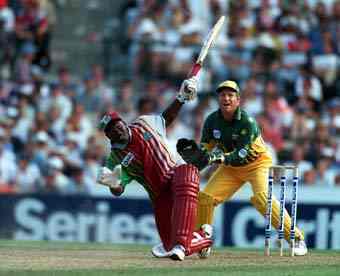 Who can forget the collective outpouring of emotions expressed when the West Indies dramatically came from behind in 1992 to beat South Africa in the first ever Test between the two nations? 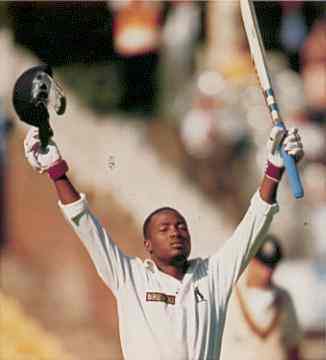 Or when Brian Lara (375) broke the Test Match scoring record previously held by Sir Garfield Sobers in 1994? Or when Shivnarine Chanderpaul finally scored his first Test century? The examples are too numerous to mention here, but the collective nature of these feelings are undeniable. 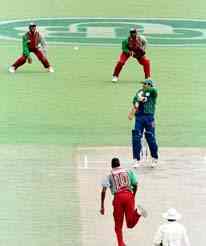 Team members and West Indians wept together when we lost against Australia at home in 1995 and we were completely devastated when the team was decimated against Pakistan in 1997. 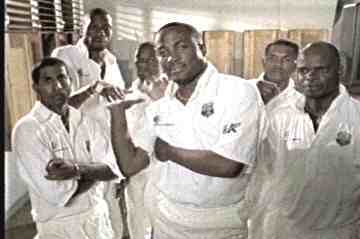 Talk Shows on radio and television for days and weeks afterwards focused on the problems and pitfalls facing the West Indies team; arguments abounded in the office, in rumshops, and on the street as to who should be in team, who should be captain, and who should resign from the selection panel, etc. Obviously, there are going to be instances when national pride seeps back in, and insularity is often best exhibited when we are expressing our deepest emotions about the team (good and bad) . . . but when our feelings are stripped down to the basics, the success of the WEST INDIES TEAM is always paramount. "The influx of Leeward Islands cricketers into the West Indies team in the last decade has caused the traditional suppliers to suspect a conspiracy. The selection of Richie Richardson as captain of the team and the overlooking of Desmond Haynes has caused an uproar in Barbados. 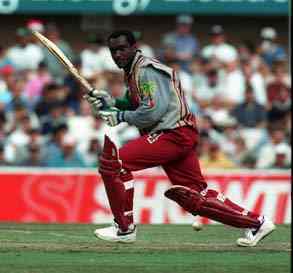 The issue was accentuated by the scant respect with which the WICBC treated Malcolm Marshall and Gordon Greenidge, who recently retired. To add fuel to the flame, the decision to omit Anderson Cummins from the team which played against South Africa, caused Barbadians to call for a boycott of the Kensington Oval test match. The success of this boycott revived the traditional anti-Barbadian sentiment throughout the region. Yet, despite what was seen as an extreme act of insularity, a situation when a player took precedence over the team, once again the calls were for renewed support of the team in its attempts at rebuilding. 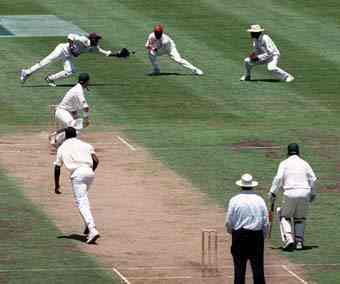 These situations point to the deep involvement of West Indians in the game. Everyone is a cricketer, a commentator, a critic, a captain, a selector, an umpire and a supporter. 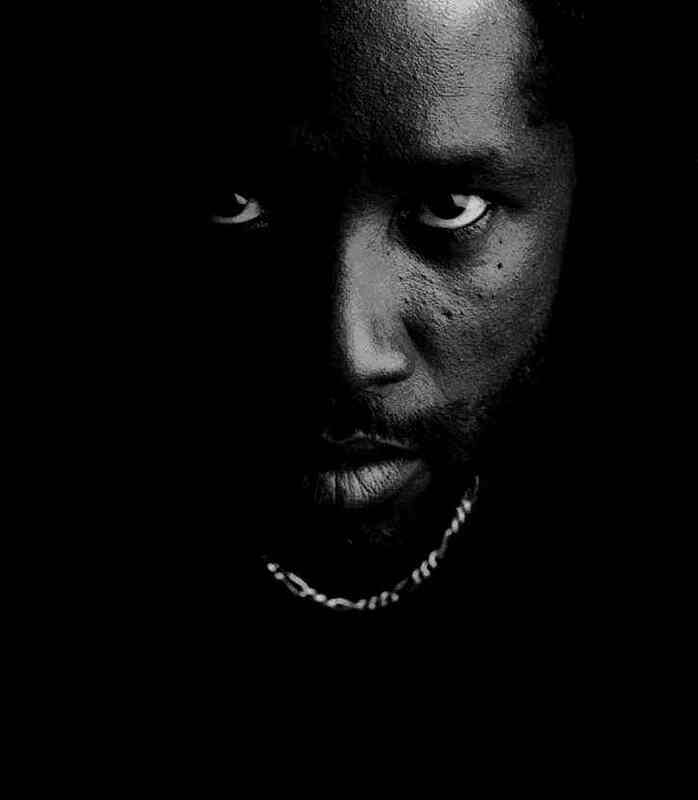 The alienation from other facets of West Indian life has created an integration where the people can assert themselves even when they do not make the final decisions." What is it about West Indies cricket indeed? Visit the Brian Charles Lara Page! "Michael shoulda left long time!" Are doomed forever to be at somebody's mercy? Little keys can open up mighty doors . . .
South Africa 268 all out. * Final Scores at the end of the Second Test played from December 10-14 1998, at St. George's Park, Port Elizabeth. Visit here for the full story and scoreboard, and here for live commentary (text-based) during the match. Visit here for the full story, and here for live commentary during (text-based) during the match. There are two tests still to run in this series against the West Indies and already Shaun Pollock is capable of adding a second record to his growing list of test achievements as the fourth match looms at Newlands in Cape Town and starting on Saturday. This time he did not collect the man of the match award, this went to Jonty Rhodes, as South Africa cruised to a nine wicket victory in the third test at Kingsmead early on the fourth afternoon of the third test to give Hansie Cronje's side an impressive 3-0 lead in the five match series. But Pollock's third five wicket haul this series has taken his wicket tally to 22 which is now 16 wickets shy of beating Hugh Tayfield's record haul of 37, bagged against England in 1956/57. It still needs a lot of hard work if he hopes to achieve that particular goal, although he added only one wicket to his tally yesterday when he dismissed Curtly Ambrose for five as the tourists did their best to extend their lead. And the six wickets in this match has taken his overall total to 113 in 28 tests and is now only the wickets short of surpassing his father's total of wickets in what was a career spanning eight years and 28 tests, which will be one less than his youngest son has managed since making his debut against England at SuperSport Centurion four summers ago. After Rhodes fine innings of 87 ended on Monday morning and enabled South Africa to stretch their lead to 114, it needed someone like Pollock to go out and wrap up the test. There were a few hiccups though. As his father, Peter, convener of the national selectors pointed out, the South Africans were not at all impressed with the way they had played when bowling in the morning session. "They were not impressed with their efforts and reprimanded themselves for the way they had bowled and fielded," Pollock (snr) said.Which says much for the way Pollock (jnr) and Cronje pulled things together, especially during the batting fireworks provided by Messrs Brian Lara and Shivnarine Chanderpaul who added 160 in a partnership of such quality it was a shame to have it curtailed by that jack in the box Herschelle Gibbs. It was left until yesterday, however, before the younger Pollock had his name engraved for the second time on the honours roll at Kingsmead. Which is one better than his dad did, not that it bothers the older Pollock. His was against John Reid's Kiwis in 1961/62 while Polly (jnr) managed to do it twice in a year: six for 50 against Pakistan back in March to be joined by his five for 85 against the West Indies. Yesterday, however, belong to Gibbs, the young man who takes drink likely to give most people a kick in the pants. Known as "Scooter" to his teammates, Gibbs put his foot flat on his moped as he went on to score a stylish 49 in a partnership of 97 which ended whatever faint sniff the Windies had of pulling one back. With Gary Kirsten scoring a steady, yet fluent 71, the South Africans had little trouble in knocking off the runs needed to win the game in the 49th over. TEST WHITEWASH LOOMS AFTER NEWLANDS DEBACLE ? West Indies manager Clive Lloyd, one of the Caribbean greats, said it all as he sat before the media briefing at Newlands yesterday with the frustrated comment "oh boy" while Brian Lara sat grim-faced and desperate. Apart from being a beaten captain for the fourth time in this series, he is the leader of the first West Indies side in history with the spectre of the first Test white wash looming at SuperSport Centurion. Lloyd was captain of the side which lost 5-1 to Australia in 1975/76, but "at least we won a game" he smiled. Now he is overseeing the demise of a team which is in need of serious rebuilding but instead is crumbling around him as the embarrassing 5-0 defeat hangs like a taunting millstone. The man known as big cat sat next to Lara, seen as the spoilt kitten since taking over as leader of a divided band of far from merry men with the knowledge that the fifth match at Centurion, now only eight days away, spells a watershed for a side which is, frankly not up to international standard. A 4-0 result was not what was expected of this series and Lara finally admitted it. Even Zimbabwe would take on the once mighty Windies and give them a good run for the gold doubloons wrung from the West Indies Cricket Board before the start of the tour. Although the West Indies tail rattled along the runs and gave South Africa the expected tough time at breezy, chilly Newlands yesterday, all it amounted to was reducing the margin of defeat to an embarrassing 149 runs. name of Ridley Jacobs, can put together a sparkling, yet determined innings - their top-score in this match - then it does show that there is some spirit and fight in the side. It also shows that it is more than a question of technique and batting skills which are at fault. Now they face the humiliation every side in this competitive sports world: total annihilation in a country where for years they have been revered. "We want to leave with something for the people here to remember us, but it's not going to happen the way we are playing," was coach Malcolm Marshall's blunt assessment on Tuesday night. 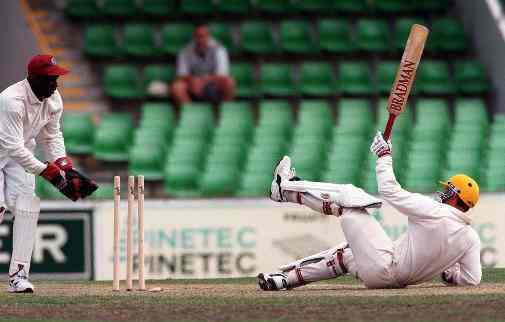 So, while the Windies move to Paarl and a three-day match to sort out their batting problems, Allan Donald is to take a rest from duty this weekend along with Jacques Kallis, Hansie Cronje and Shaun Pollock. Pollock has taken 25 wickets this series and has been the backbone of the pace attack while Kallis has joined him in being possibly the second link to the finest all-round duo at international level today. innings yesterday was not as easy as it might have been. South Africa's initial squad of 30 for the World Cup is to be selected on Monday. It is to be trimmed to 20 by the end of February, during the tour of New Zealand and is to be announced around Easter. The squad of 15 for the tour of New Zealand is to be announced in Durban on January 27. * South Africa have named an unchanged twelve for the Fifth Test at Centurion beginning January 15. Allan Donald is in doubt due to a hamstring injury. If he is unable to play, Lance Klusener will come into the side. * Visit here for the full story, and here for live commentary during (text-based) during the match. 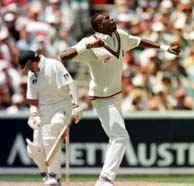 Paul Adams clean bowled Courtney Walsh, and it was all over. The West Indies had lost their first ever Test series in South Africa. Not just lost, but lost 5-0. And even the margins of defeat were not all that close either... the Fifth Test at Centurion being given up by a margin of 351 runs with just over a day to spare. The fourth-innings target of 569 was never on - even the 190 overs to bat to save the Test looked forlorn - but to see the West Indies cave in after just 75.2 overs and scoring 217 was sad. 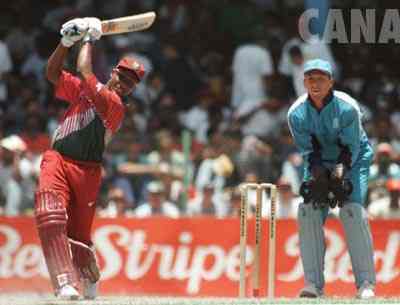 Chanderpaul scored 43. Lara was more cautious than in the first innings, but his 71-ball stay at the crease was still 6 deliveries less than his earlier appearance in the game, and this time he only scored 14. Ridley Jacobs - the sleeper of the tour - scored a breezy 78, while Nixon McLean rattled up 33 from 45 balls. Pity that Nixon is in the team for his bowling, worth 2 wickets for 160 in this game. With Donald able to bowl only two overs in the second innings because of injury, the ultimate insult came when Daryll Cullinan bowled Mervyn Dillon - not only his first Test wicket, but his first first-class victim since November 1986 (Tom Hogan for the rebel Australians v SABC Presidents XI). Another even more bizarre turn came at the presentation ceremony after the game, as the Man of the Match award was given by adjudicator Denis Lindsay to the entire South African team! More conventional thinking behind the choices of Men of the Series - Jacques Kallis, one of the rising stars of world cricket, for South Africa; and wicketkeeper Ridley Jacobs for the West Indies. For Lara - who insists that he wants to keep the captaincy - and the West Indians, there is one chance to save face on this tour, in the seven-match one-day series beginning this Friday night. South Africa are favourites to win the World Cup. Good luck West Indies. RALLY ROUND THE WEST INDIES!!! W.I. Cricket Fans Sign Our Guestbook!!!!! We will send on printed copies of your inspirational comments to the team via email to the West Indies Cricket Board. Let's unite behind our team!!! * Final scores at the end of the First "Test" played between West Indies 'A' & India 'A' in Bangalore, India. * Latest score at the end of play on the Third Day of the Second "Test" between West Indies 'A' & India 'A' in Chennai, India. Vist here for live commentary (text-based) and the latest scorecard during the match. This page was last updated on January 28, 1999.